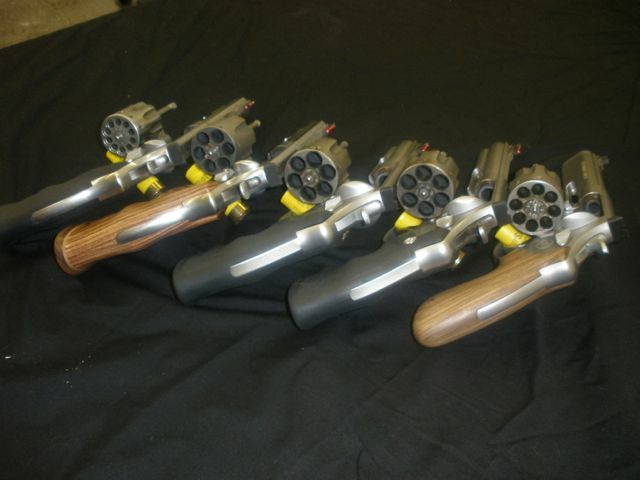 Wheelgun Photos - The Gallery - Brian Enos's Forums... Maku mozo! I checked the archive and the last revolver photo thread was very old...let's see what you have now. 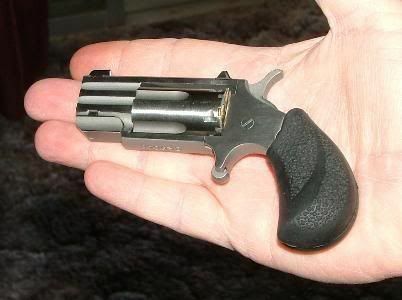 I have the same gun in a 4" version. Love mine. Anybody got any tiny ones? 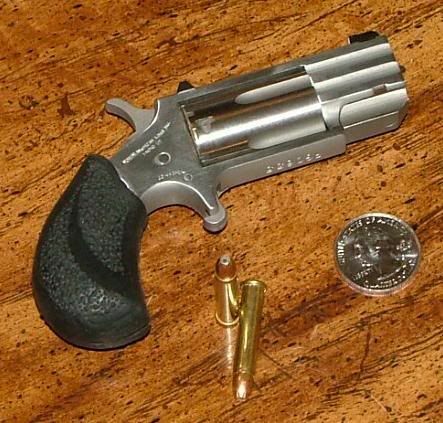 I liked too, but they are prohibited here, anything with 4.1" (105mm) and less barrel, and all caliber .25 & .32 (some exception for olympic style pistol, like Pardini or Hammerli) are strickly prohibited. 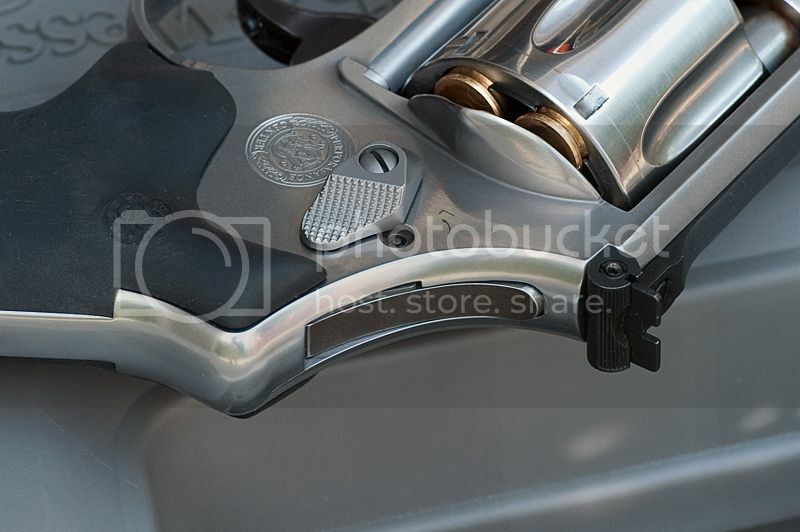 I have been wondering why I have seen nothing on the forum about purse guns. In NZ we has different classes of Firearms License. A for general rifle and shotgun, B for handguns (over 4 inch barrels I think), C for collectors (which includes purse guns) and E for military style rifles with pistol grips. We are prohibited from actually firing guns held on a Collectors License. 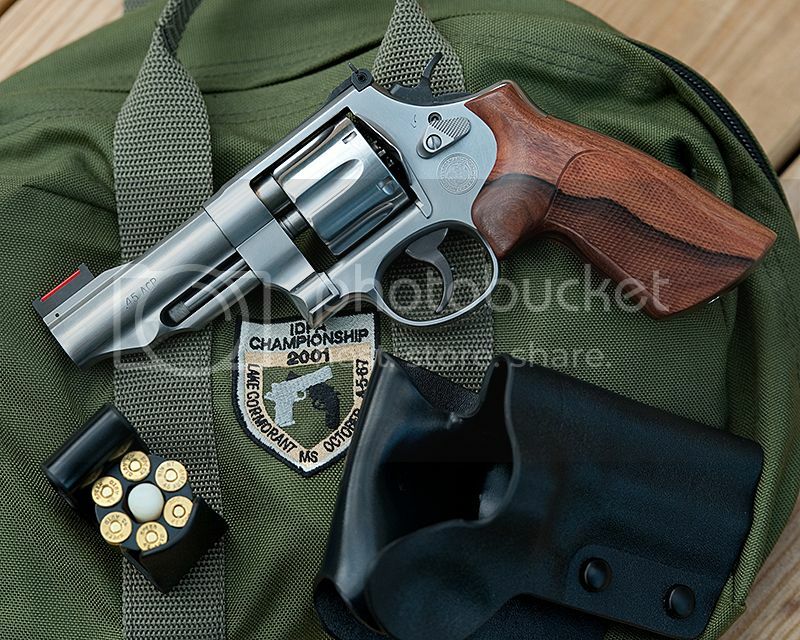 In fact, this forum is US based, so they have almost no limits on guns ownership. But small defensive handgun have too little sport usage to be shown here. And thanks for the new Zealand update. 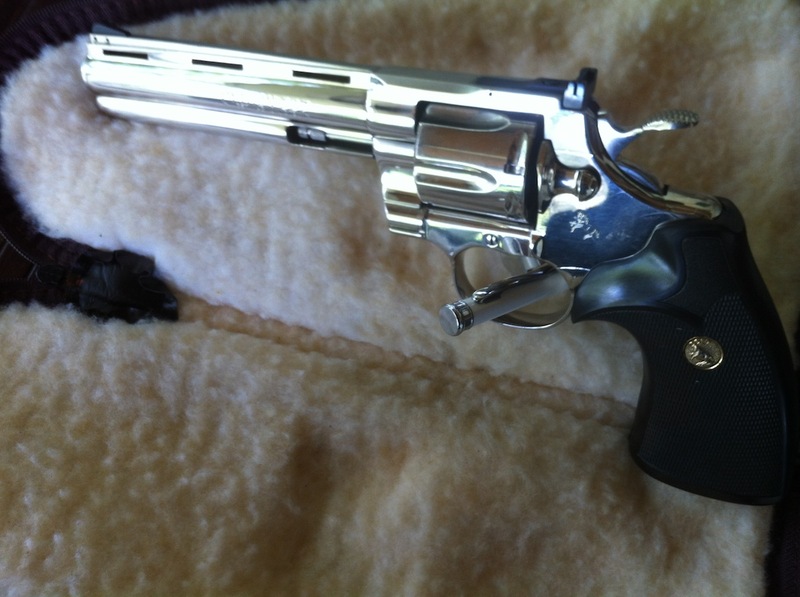 I used to have this NAA Pug .22 Mag with tritium front sight. Wish I still had it. Might get another. 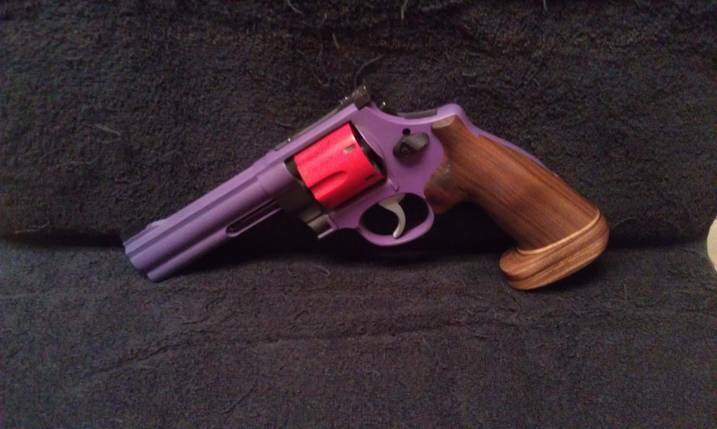 Only revolver I've ever owned. The top two are not wheelguns, but are an original Remington .44 Short Rimfire Derringer and a modern Davis .22 Derringer. 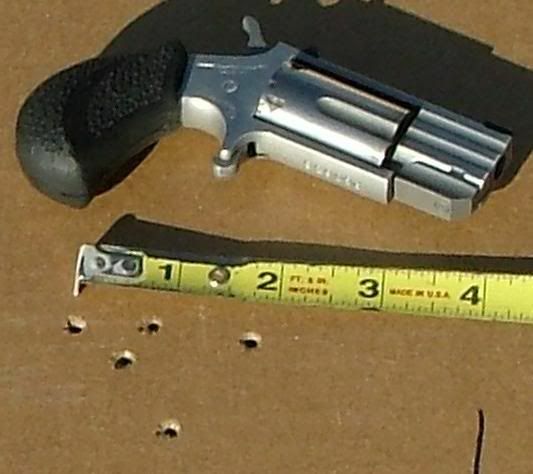 The little revolver is a Hopkin and Allen's XL No 5 in .38 Rimfire. Redhawk .44 with tennis rack grip - apparently the only way to get a decent sized grip on a Redhawk. 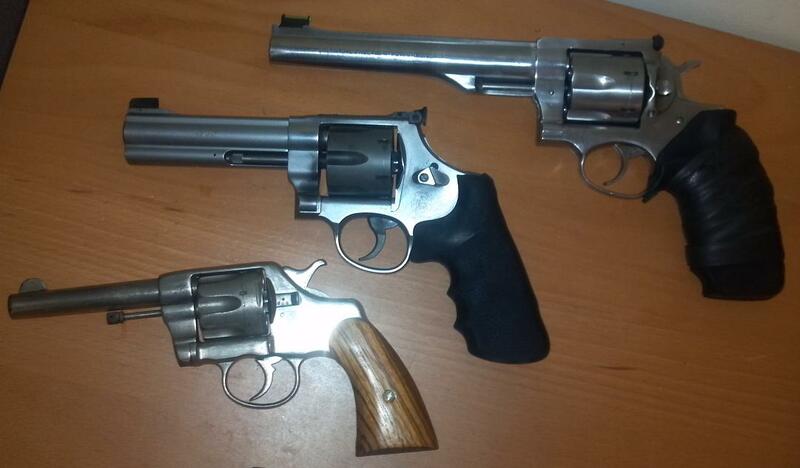 Then an APEX SW625 and a .41LC DA Colt. Then a SW617, reliably bobbed 10-rounder. 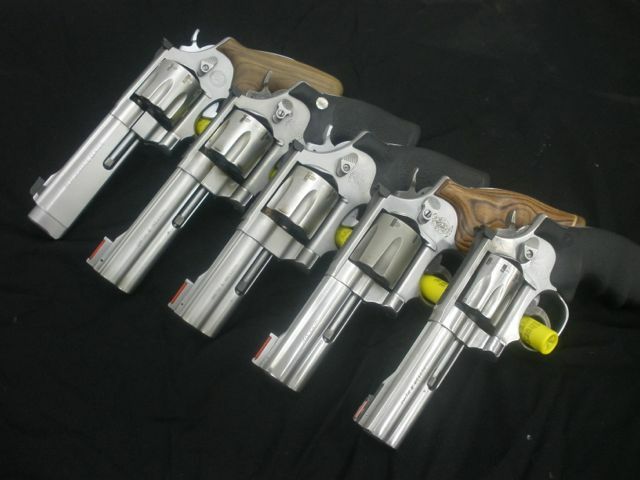 A 317 8-round kitgun (.22LR) and a .35 revolving double-barrel blackpowder shooter, the Team Amish Limited-2 gun. My 625 has been updated! Thanks for the pics of the little ones. I am quite envious. Not easy to get in NZ even with the appropriate license. Cheers. That's a really cool setup! 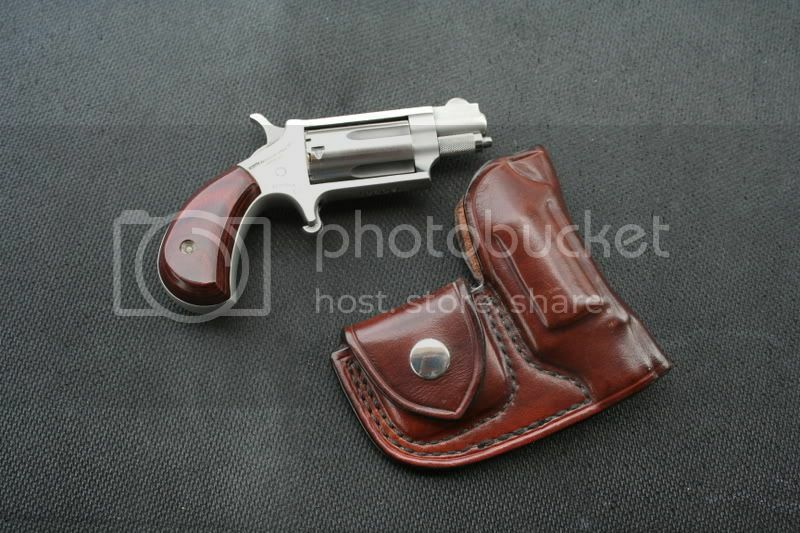 Who made the holster? 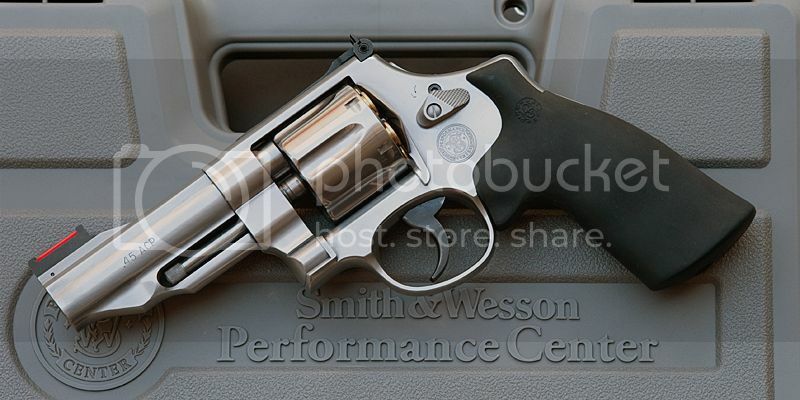 Smith & Wesson 625 JM that has been "Carmonized".